The winners of the Canadian Centre for Architecture?s Interuniversity Charrette 2018 are being announced today at the Université du Québec à Montreal. For the 23rd edition of the annual competition, which was titled Housing One by One, students from various design disciplines were challenged to unite prefabrication and architecture by inventing an adaptable construction kit that addresses the need for affordable housing. 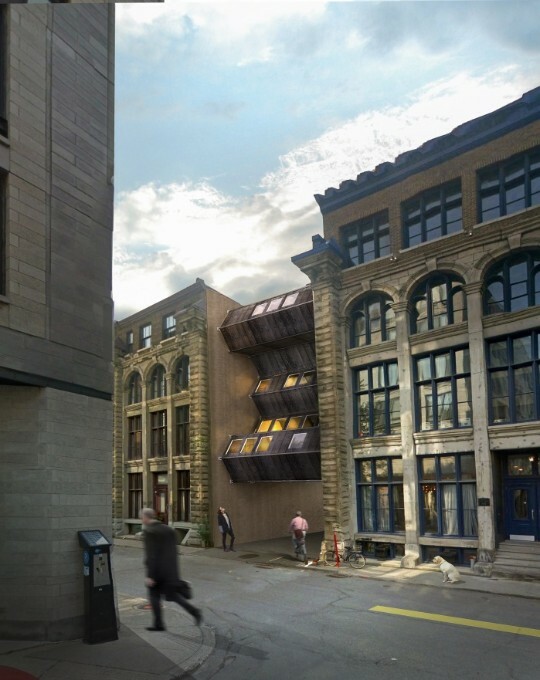 The winning team, composed of undergraduate students from Ryerson University, created an imaginative design that puts unused city spaces to work by populating them with affordable housing units that are functional and customizable. Their project, titled In-Between, uses honeycomb-like hexagonal shapes to arrange interlocking modules that can fit the space and capacity needs of the site.